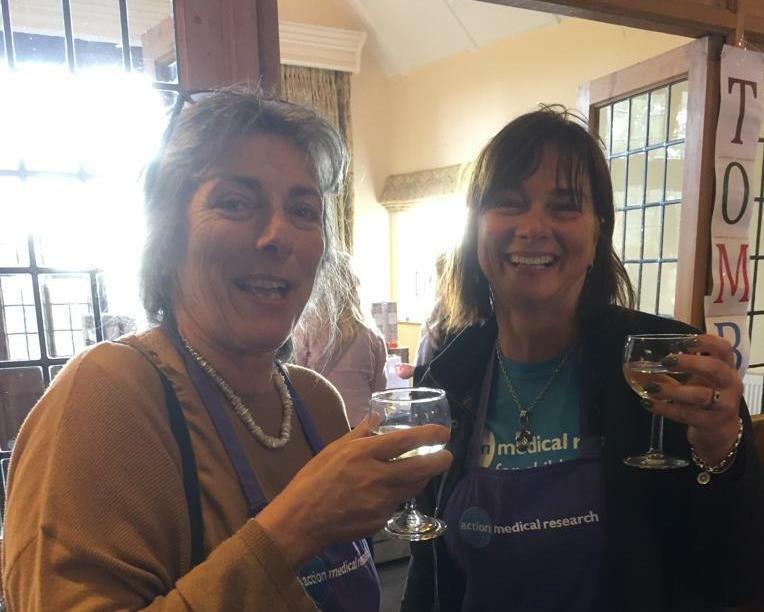 Maldon & District committee members Jane Hare and Alison Bush raise a glass! OK, let’s start at the very beginning: how and when did the Maldon Committee first get set up? Well, I must admit I had to speak to our treasurer Sheena Berney about this. We believe the committee was first established in 1970 when the then Director of the charity Simon Mumford approached Julia Peel. It officially launched in 1971 and was originally called the ‘Wickham Bishops Committee’ and boasted five members. There were very few committees around at the time and Julia remembers winning a cup one year for raising more money than any other group. Fundraising events included a two day horse show which must have been a lot of fun! And now, one of your longest-running fundraisers is the ‘Action in Autumn’ event; how long does it take to organise each year? It pretty much takes us all year, on and off! There’s always a job that needs doing, whether it’s contacting past stall holders, choosing new ones, updating the data base, organising meetings about meal plans etc. Over the twenty years the event has really grown and with that does come extra work and responsibility but we wouldn’t have it any other way. It’s hard work, but absolutely worth it when we get to see people enjoying themselves and helping us to raise vital funds for Action. And you have done an incredible job raising funds for us over the last two decades! Goodness, yes! We actually sat down the other day to do another tot up and the total we’ve raised with this event alone is around £170,000! Wow! For anyone who has never been, what can we expect from this year’s event? We truly believe that it’s a great day out - especially with friends – as you get to enjoy a bit of shopping (maybe early Christmas presents); you get to visit the fabulous setting and building of Layer Marney; and there’s a free tea/coffee with homemade cake and biscuits on admission. There’s always a lovely atmosphere with people browsing and chatting. You can also enjoy lunch and a glass of wine if you fancy! The committee’s been running since 1971; what’s the secret of its success? We are very fortunate in a way because we all do get on. There are ten members and everyone enjoys spending time with one another and socialising. But when it comes to rolling up our sleeves and organising event, everyone’s keen to get involved and do what they can to help. Knowing that we’re helping such a good cause is a great inspiration for us. And finally, what do you get personally from being a committee member? Why should other people across the UK consider joining or setting one up? I really enjoy the social aspect; it’s fun! And if it wasn’t fun people wouldn’t stay in the committee for as long as they have. It just feels good knowing that you’re making a difference, whether it’s raising funds or awareness or both. And there’s a lot of support from the team at Action, so if we ever get stuck or need help with something we know where to turn. I’d highly recommend getting involved! 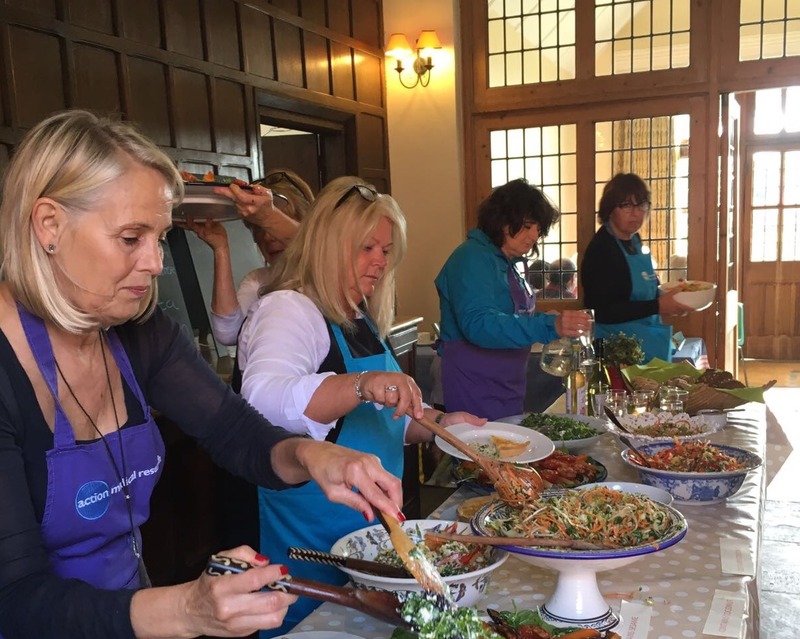 Committee members Sue Gill (front), Terri Brewer, Jan Doe and Lynn Pohl help prepare a feast! Action in the Autumn returns to Layer Marney, Essex on 2 October 2018. Find out more here.